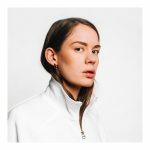 Many of the lovely radio stations we work with have been playing Anna Of The North for a while now, as we’ve been pushing the Scandanavian duo’s icy indie pop since before their debut album Lovers last year. The rest of the world is beginning to catch up, though, thanks to the Netflix smash To All the Boys I’ve Loved Before. The album’s title track features prominently in the film, and rom-com fans have noticed. The song has gone massively viral, surging on Spotify and Apple Music, selling thousands of downloads, and helping the band book its first US concerts! We’re very happy to see this well-deserved success – read more about it in Variety right here.